Kabul, Afghanistan – Pashtana Arabzai feels she has done her homework and says it is only a matter of days before she realises her ambition. For the past three weeks, she has travelled back and forth across Afghanistan‘s capital, Kabul, trying to convince voters to back her in Saturday’s parliamentary elections. 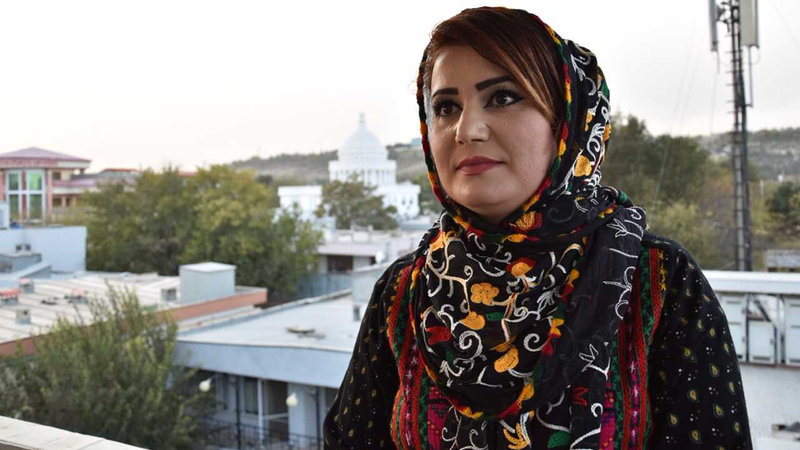 Arabzai is among the 118 women candidates trying to secure one of the nine seats in the city reserved for women. Kabul has a total of 33 seats. As campaigning drew to a close, Arabzai was in an upbeat mood, promising change if she won. “It is time for women. It is time for young people. It is time for us to decide our future and implement our vision,” the 27-year-old former TV presenter told Al Jazeera. “It is only us, the young generation, which can bring real change to our country. Our society needs us,” Arabzai said while three of her female supporters sitting nearby nodded in agreement. The Afghanistan parliamentary election – delayed repeatedly for the past three years – is the third since the Taliban was ousted from power in 2001 by US-led forces. A record 417 female candidates are campaigning for a seat in the 250-member parliament. The country’s constitution reserves 27 percent of the seats for women, making the Afghan parliament one of the most representative as far as women are concerned. But female candidates say they face a daunting task as they aspire to leaderhip positions in a country marred by nearly two decades of armed rebellion waged by the Taliban armed group. The group, which still controls a third of the country, is boycotting the elections and has promised to disrupt the process. The polls are also the first since the NATO combat mission ended in 2014, and Afghan forces took over responsibility for security in the country. Since the beginning of the campaign on September 28, at least 10 candidates have been killed and dozens injured. Two other candidates were abducted. But that hasn’t deterred the female candidates from holding rallies and campaigning. Shenkay Karokhel is a former ambassador of Afghanistan to Canada and resigned from her post earlier this year to return to Kabul and contest again. Karokhel says the threats won’t stop her from trying to make a difference in her country. “Life in Afghanistan is full of risks and challenges. Even walking down the street is a risk. And it’s not just politicians facing them, but also the average citizens,” the former diplomat told Al Jazeera. Karokhel has served in parliament twice and was not planning to contest again, but that changed when her close friends intervened. “They forced me to resign from my post in Canada. But my children are not happy because they know how dangerous the job is,” she said. Arabzai and Karokhel say the reason why more women are now deciding to take part in politics is simple: to fight corruption. “Women are less corrupt than men in our country. We are the first victims of corruption. More women in places of power means less corruption and more development,” Karokhel said. Money continues to play a role in who makes it to the top offices in Afghanistan. Campaigning is expensive and some candidates allege people demand money in return for their votes. “Many people have asked for money to vote for me. But that is not how I want to be voted in. That is not the politics that I’m interested in. That is the politics that got our country here in the first place,” Arabzai said. In Khusahal Khan Mina neighbourhood of Kabul, the challenge facing Sabri Andar is greater than that faced by Arabzai or Karokhel. Andar is disabled and moves around in a wheelchair. But she is determined to become a lawmaker. “I decided to run for office three years ago after seeing all the problems young people and women in particular face in our society,” Andar told Al Jazeera as a small crowd of supporters waited outside her office. She was the first speaker of Afghanistan’s youth parliament. “In our society, some people believe women should not lead. I want to show them that it is possible to be young, a woman, disabled, and also be a member of parliament,” the 26-year-old said. With polling stations in Afghanistan set to open in less than 24 hours, Andar has a message for the country’s youth. “We should not lose hope. Only we can change our situation, not others. The youth need to go out and exercise their right tomorrow,” she added.